Forbes Avenue Abandoned Buildings, Bluff & Uptown, PittsburghSomehow, this block of breathtaking, ravaged Victorian architecture symbolizes all of the faded glory and grandeur of the Steel City. 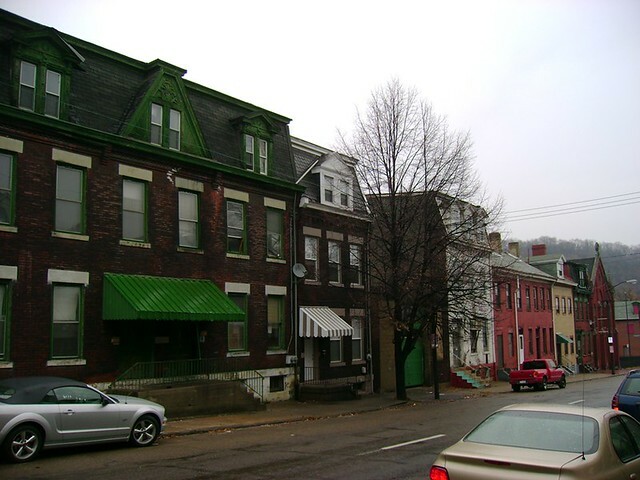 Most of Pittsburgh's 19th century vernacular architecture is represented here -- from the mansard-roofed Italianate row-house to the stone neighborhood church. The sad thing is that most of the houses on this block are utterly abandoned and waiting for the bulldozer. 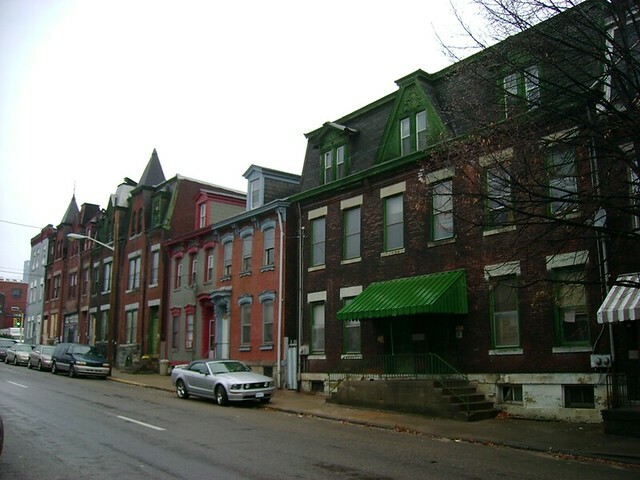 Recent investments in the Bluff neighborhood, which is home to Duquesne University and adjacent to downtown and Oakland, include the Console Energy Arena, various new apartment building proposals, and the conversion of the old Fifth Avenue School into upscale lofts. 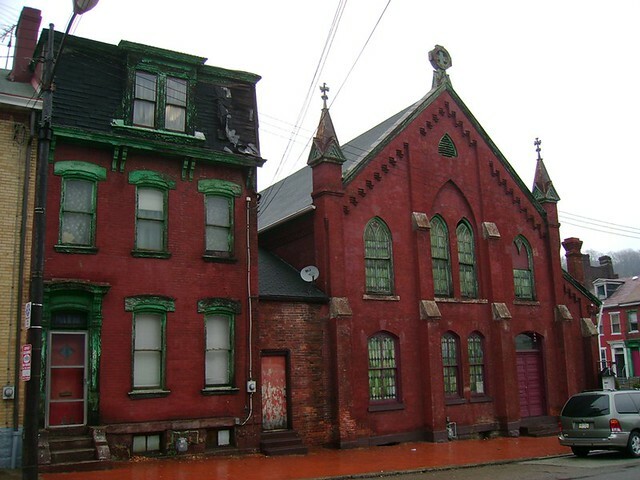 The following buildings should be on the list, too. These photographs were taken in November, 2010, for my "Uptown and Bluff Photo Tour." UPDATE: Demolition in 2000 block of Forbes as of August, 2013. If you feel you are upto the challenge of buying and renovating one of these historic gems, please see my "How to Purchase an Abandoned Property" page. Above: An abandoned Victorian at 210 Talbot Avenue in Braddock. Here's a scenario. 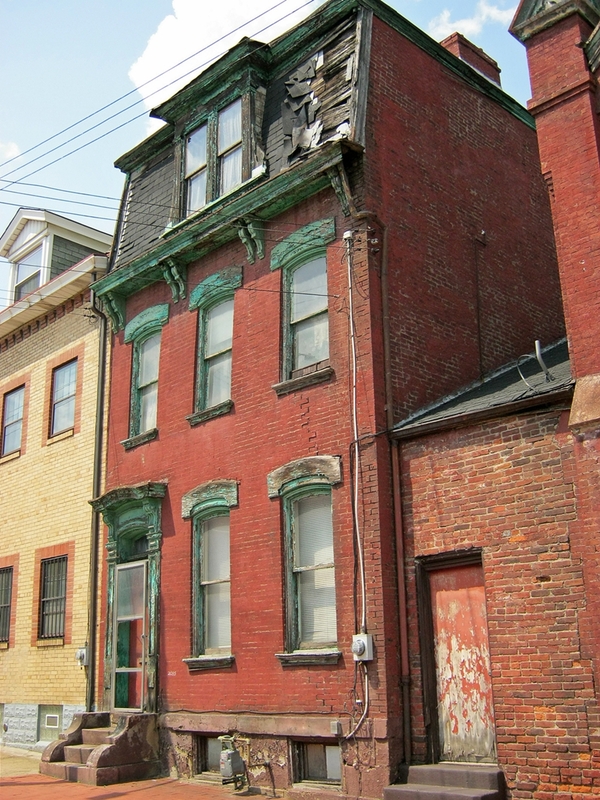 You stumble across an absolutely stunning, albeit faded, Victorian that is basically your dream house (like the one pictured above). There's only one problem. 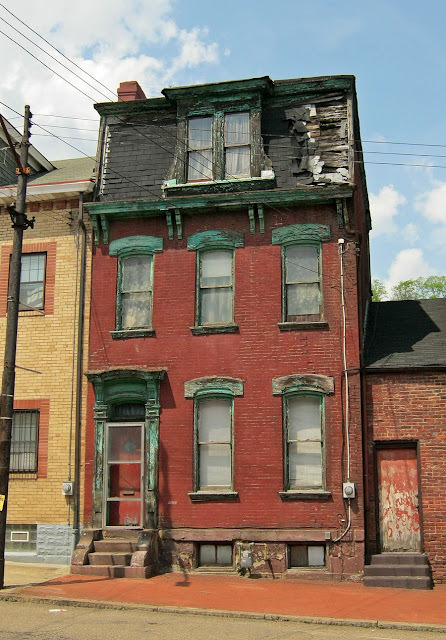 It's not for sale, the owner is missing in action, you've checked the Allegheny County Assessment site and the owner hasn't paid taxes on the property in years, and the house appears to be completely abandoned and waiting to be demolished. You feel extremely sad that such a great piece of architecture and history has been left to rot and eventually be destroyed, when someone like you would cherish and spend your life restoring it. 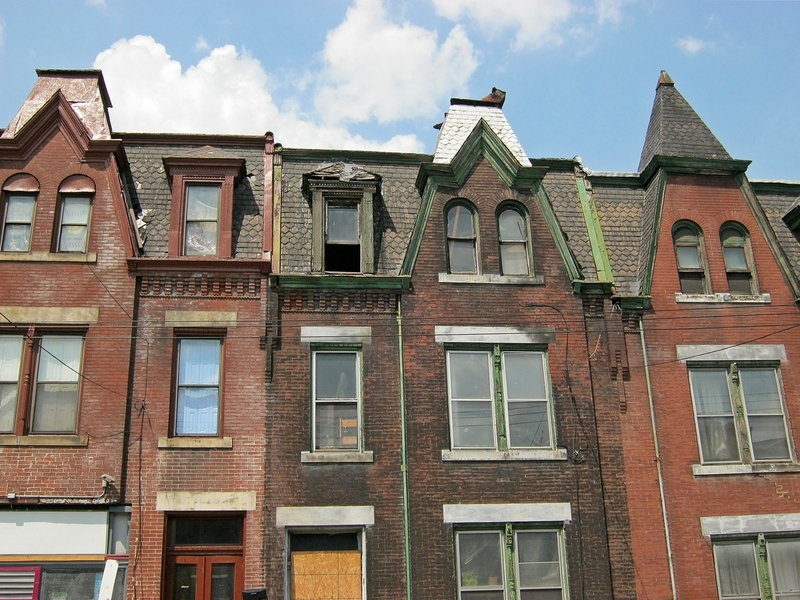 It drives you nuts that there is nothing you can do to save this property, and there are dozens more that you can think of around the city that are just like it. Step 1: Try to contact the owner. 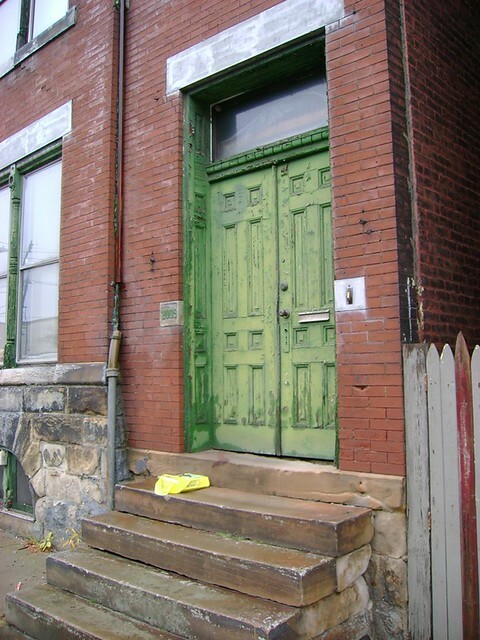 You can usually find the current owner's name and address on the Allegheny County Assessment website. Express your interest in the property to the owner and see if you get a response. This often will not work, however, because the delinquent owner cannot be located, or the owner of the property has passed away. There also may be astronomical liens attached to the property that would discourage you from purchasing it. Remember to always hire a lawyer to do a title search on a property before you buy it. Step 2: The Allegheny County Vacant Property Recovery Program. The Allegheny County Vacant Property Recovery Program operates in numerous municipalities, including but not limited to: Braddock / North Braddock, Rankin, East Pittsburgh, Etna, Glassport, Harrison (Natrona), Homestead / West Homestead / Munhall, McKees Rocks / Stowe, Millvale, Mount Oliver, Pitcairn, Swissvale, Tarentum, Turtle Creek, and Wilkinsburg! 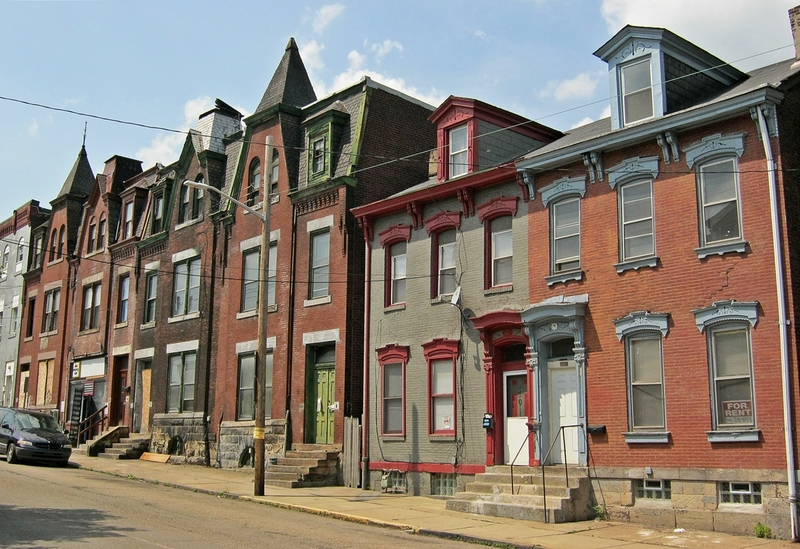 This means that in these communities, vacant, tax delinquent properties can be purchased and cleared of back taxes and liens. 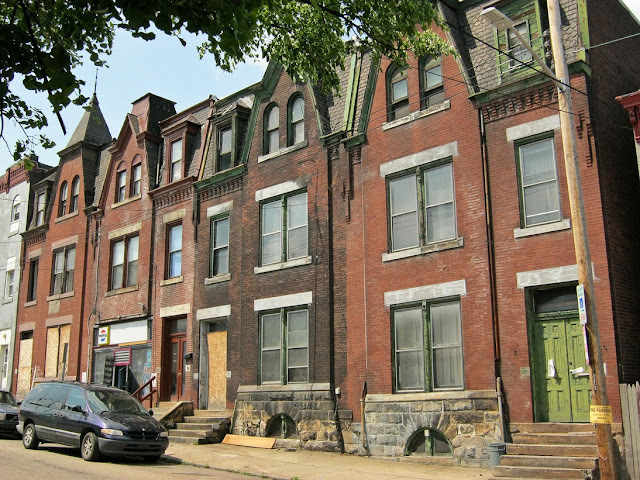 Wilkinsburg CDC has really streamlined this process and offers a list of abandoned homes that would make good re-use opportunities, ranked in order of condition. They also have some good resources about buying vacant properties here. But what if the property you are interested is not in one of these communities? Move on to step 3.. Step 3: Contact the City or Municipality. 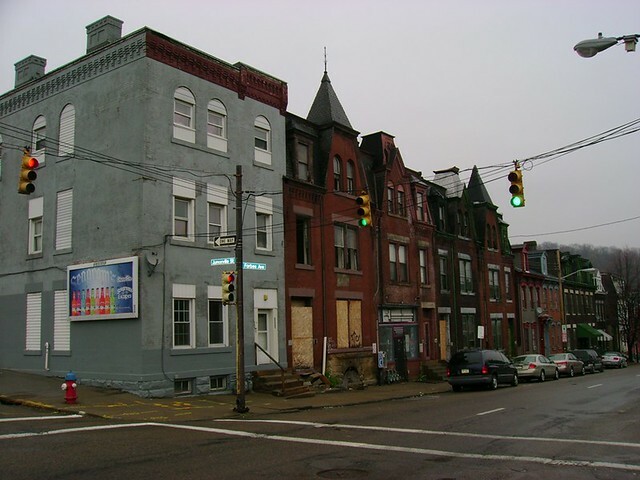 The City of Pittsburgh and the City of McKeesport have their own programs that enable the purchase of tax delinquent, vacant properties. 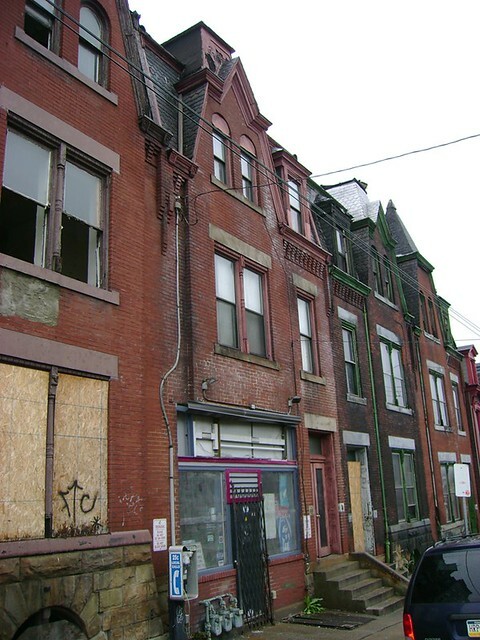 In McKeesport, it is called the Vacant Property Rebuke program. 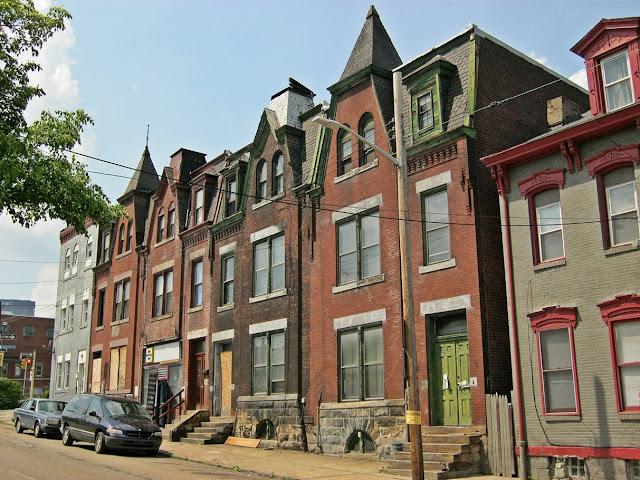 The City of Pittsburgh is also working on a land bank, and lists properties here. 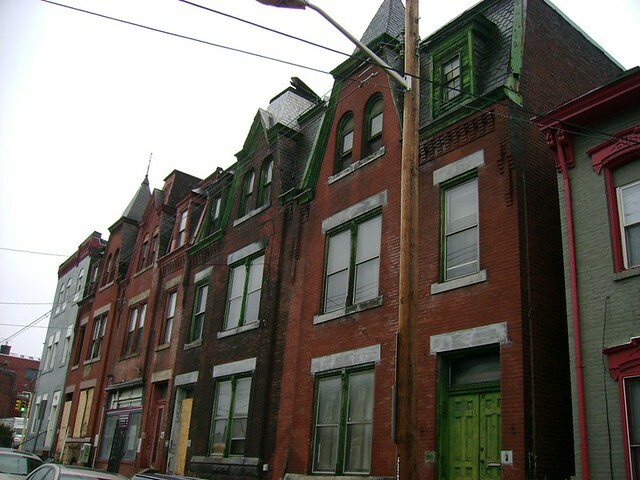 There will be certain stipulations that you must follow as the property buyer, but back taxes and liens will be absolved. If you are interested in a property not located in one of the mentioned municipalities, try contacting the municipality directly and expressing your interest in acquiring a vacant, tax delinquent property. They may work with you to clear back taxes and liens. 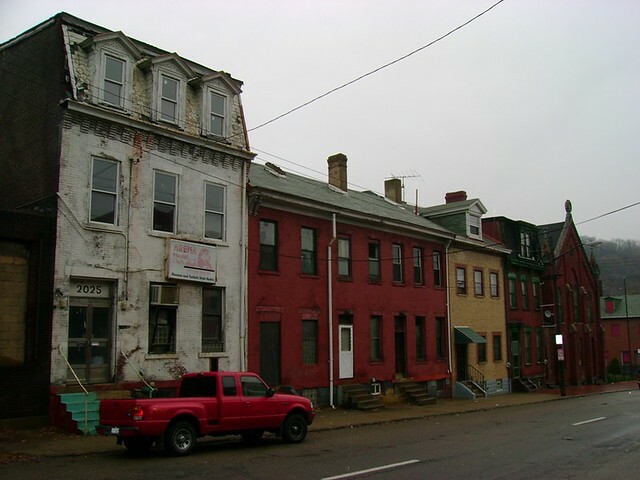 If you have experience acquiring an abandoned property, please leave a comment, share tips, and explain how you were able to do it. 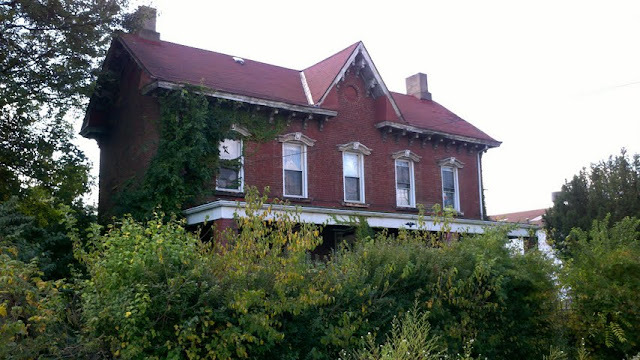 I would like to make this page a resource for buying abandoned properties. This is a learning experience for me, and probably most everyone who is reading this. 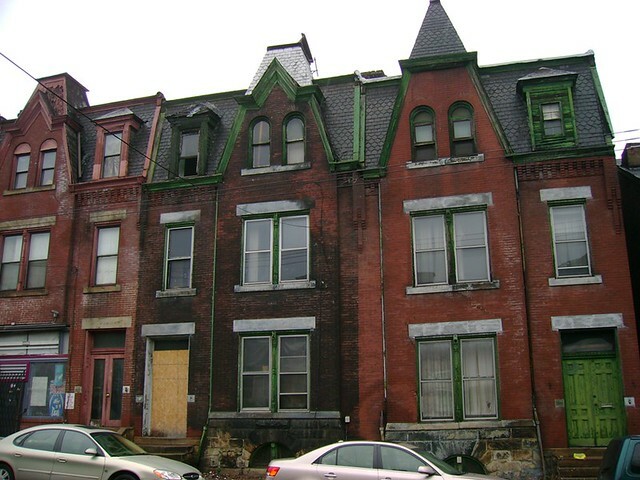 If I got any facts or information wrong about purchasing abandoned properties, please correct me so I can get the information correct on this site. 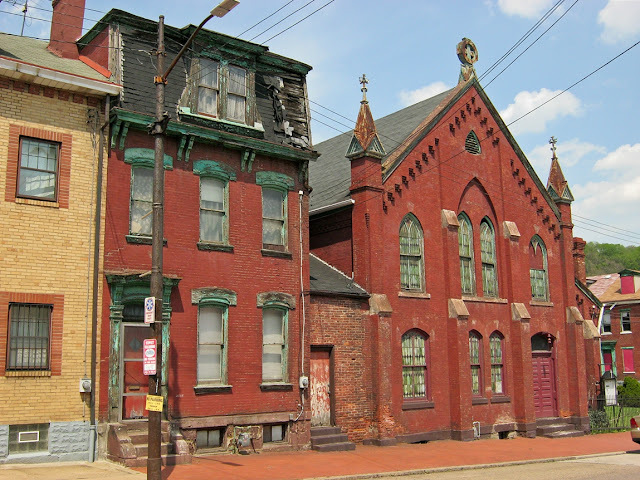 It is important to get the message out that these buildings can be saved, and that there are methods for doing so. Let's get all of the facts straight here so we can start saving our heritage. P.S. I would be very pleased if someone with money stepped in and saved that ridiculously awesome house in Braddock. 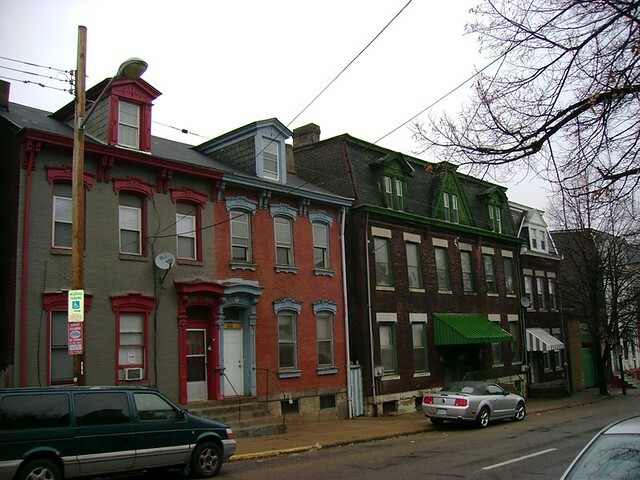 Sewickley is a small town located near the Ohio River. 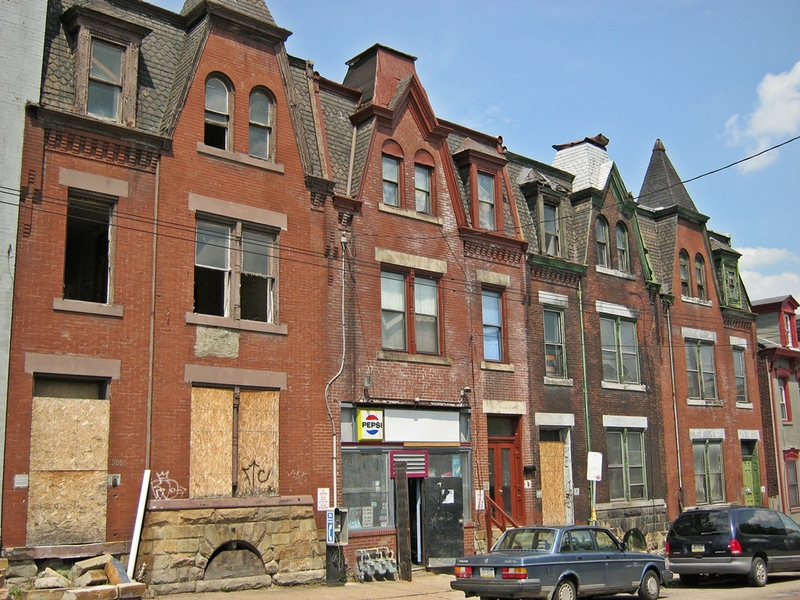 It functions as an upscale suburb of Pittsburgh. The village contains a nice collection of restored Victorian and Edwardian era homes. Old Stone Tavern, West End, PittsburghThe "Old Stone Tavern" is located in the West End neighborhood of Pittsburgh. 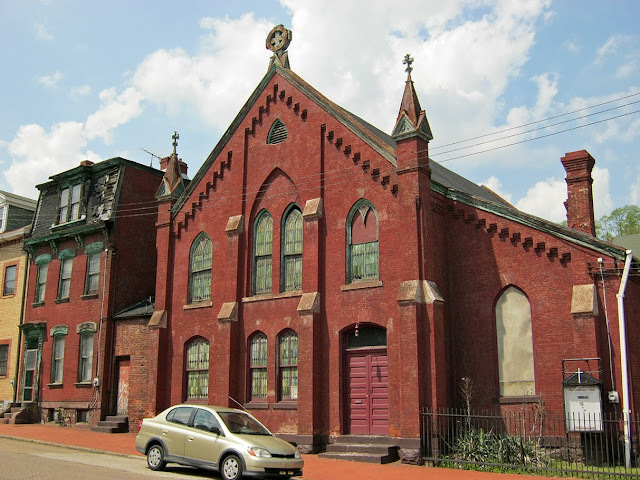 It has a "1756" year listed on its cornerstone, which would make it older than the Fort Pitt Blockhouse, and the oldest surviving building in Pittsburgh, if the date is correct. It would also make the tavern the only survivor from French settlement days. The tavern is a very mysterious building and its history is fascinating. 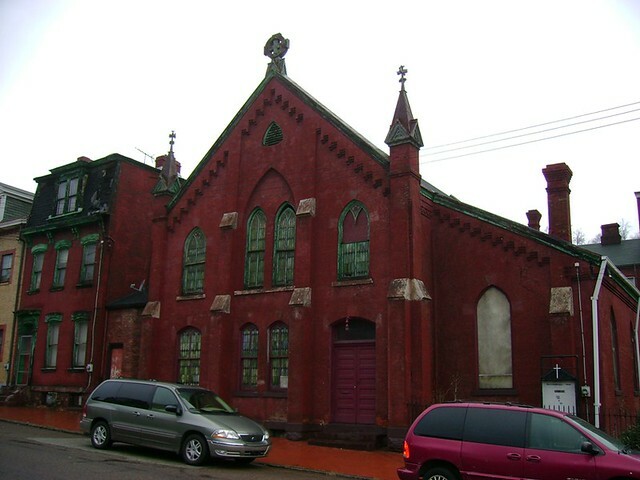 It narrowly escaped demolition for a parking lot two years ago, when the city of Pittsburgh Historical Review Commission voted to declare it a historic landmark, thus saving it. However, it currently sits abandoned and neglected. These photos are courtesy of Jesse Belfast, an architectural historian who was granted access to the interior of the building and took these remarkable pictures. Music by John Barry, from the "Scarlet Letter" soundtrack.